Recently, multidisciplinary strategies on accelerated recovery postoperatively have been provided, and management of the perioperative period has changed and improved dramatically. We summarize the enhanced recovery after surgery (ERAS®) protocol and its outcomes from a nutritional perspective. We established the perioperative management center (PERiO), much of whose work contents conform to ERAS®, but intensive dental staff involvement is characteristic. We also summarize its outcomes. ERAS® is a multimodal perioperative care pathway designed to achieve early recovery for patients undergoing major surgery. Nutrition is a key pillar for patient care. Throughout the perioperative period, oral nutrition is suggested as well as possible. Good outcomes have been reported by a meta-analysis of randomized controlled trials. However, the dental staff are not regarded as part of the professional team. PERiO reported good outcomes of care bundles and suggested the importance of dental staff contribution. The Japanese social insurance system began to cover involvements of the dental staff for perioperative oral management since 2012. Analysis of the nationwide administrative claims database in Japan concluded that preoperative oral care by a dentist significantly reduced postoperative complications in patients undergoing cancer surgery. Currently, the dental staff are not regarded as key professionals of ERAS®, although the dental staff can contribute to good outcomes in the perioperative period and PERiO, and consequently, the Japanese universal health insurance coverage system covering involvements of the dental staff for perioperative oral management showed good outcomes. 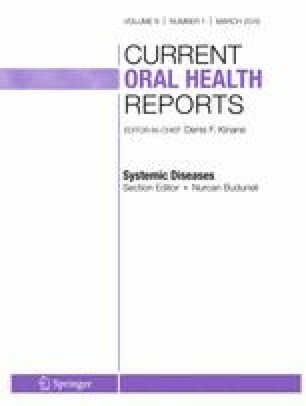 Therefore, further clinical studies involving dental specialty should be considered important for perioperative management from nutritional perspectives. This report is partly supported by a project commissioned from Okayama prefecture, Japan, Dissemination project of community-based multidisciplinary perioperative care model systems, a MEXT grant-in-aid, Problem-Solving Oriented Training Program for Advanced Medical Personnel, for the COE Program to adapt dental education for a healthy society with longevity, to establish an interprofessional educational system, including death and life studies, practical ethics, and community-based integrated care, and a grant-in-aid from JSPS KAKENHI Grant No. JP 18K09574 (to Y.S.). Figure 1 reprinted from Clinical Nutrition, Vol. 24.3, K.C.H. Fearon, O. Ljungqvist, M. Von Meyenfeldt, A. Revhaug, C.H.C. Dejong, K. Lassen, J. Nygren, J. Hausel, M. Soop, J. Andersen, H. Kehlet, Enhanced recovery after surgery: A consensus review of clinical care for patients undergoing colonic resection, Pages 466-477, Copyright (2005), with permission from Elsevier.